August 28th is commonly the memorial of Saint Augustine of Hippo, but since it fell yesterday, which was on a Sunday, the Sunday Solemnity always trumps it and we celebrated the 22nd Sunday in Ordinary Time (in the Latin Rite). Since yesterday was August 28th, I found it fitting today to discuss with you some of the Marian writings of Saint Augustine of Hippo. 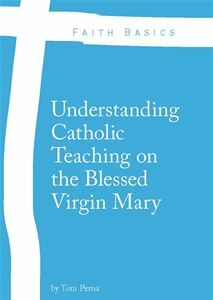 He continued the strong tradition of explaining her role in the Church, as did his predecessors, especially drawing from his master, another theological powerhouse, Saint Ambrose of Milan. I would encourage you, as I do often, to research on your own the writings of these great saints that I draw from for this blog. I would also encourage you to check out my previous writings on him – Saint Augustine of Hippo: The Doctor of Grace, The Life of Saint Augustine Through the Words of Pope Benedict XVI, and The Words of Saint Augustine of Hippo. The writings of St. Augustine are so dynamic and profound that many of his statements show up in the writings of the Second Vatican Council. The Council Fathers found his writings so impactful, that they singlehandedly cite his quotations the most of all the Early Church Fathers. And since we are drawing from St. Augustine today, this blog post is bit lengthier than most of my other “Mondays with Mary.” Remember, Pope Benedict XVI spent five Wednesday audiences on him in 2008, the most time he spent on one Early Church Father. Another theme we see his writings, drawing from the first theme, is Mary as Virgin and Mother. These two prerogatives define her role in salvation history for it gives her a personal and intimate relationship with both Christ and the Church. Her role in the Incarnation, Augustine says, is a vital element for protecting the one true faith.He goes on to say that for a Christian to obtain salvation, he or she must place their faith in the word of God. The last theme we are going to focus on today is Mary’s holiness and faith. We believe that Mary is the highest and most holy of all creatures; Christ was not created but begotten – he always was a distinct person of the Most Holy Trinity. Through her Immaculate Conception (Augustine is a forerunner of the doctrine), she was given particular gifts, extraordinary gifts; that made her exceptional in a way no other creature of God had been created before. Mary’s holiness is rooted in the idea that God preserved her from all sin – both original and actual. When it comes down it all, Mary is a great example to us all in many things, but specifically that she hears the Word of God and knows how to practice it with obedience. When it comes to our own lives, we must have a Marian disposition, we must say “Yes” to God in obedience. Her fiat to God must be our fiat to God. Holy Virgin and Mother of God…Pray for us. St. Augustine of Hippo…Pray for us. Gambero, Luigi. Mary and the Fathers of the Church. Ignatius Press, 1999.